The pace of the RJN Nissan 350Z, and the pace of the David Ashburn / Fred Moss pairing in the Trackspeed Porsche both gained a mention here. So too did the welcome confirmation that the damaging spat between SRO and MSV had been healed for 2006, with the most popular circuits back on the calendar for 2006. The winner here though has been mentioned previously in these awards. It just missed out on overall honours in the Race of the Year category but wins here because, quite frankly, there were many who believed it wouldn’t happen. It did, and with a full grid, drama aplenty and battles up and down the order. A bigger and higher quality entry is assured for 2006, but for now we’ll salute all concerned both on track and behind the scenes. The successful re-launch of 24 hour racing in the UK was a very pleasant surprise. 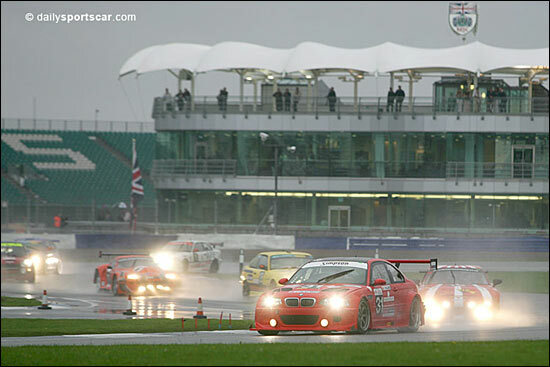 The dailysportscar.com United Kingdom Surprise of the Year 2005 is the Britcar 24 Hours.